I’m sorry to bore you with my mundane story of impulsive discount shopping. My point here is that A. I bought something unsniffed (I try not to do that). B. my expectations were low (I bought a discount perfume off of a folding table in a place that resembled a construction zone). I forgot I had this perfume but after my review of the über-fancy, expensive Strangelove NYC Melt My Heart perfume, I remembered that I had another sandalwood perfume by the same perfumer (Christophe Laudamiel) that also featured a lot of sandalwood. White Sandalwood is a rather linear, minimalist fragrance that highlights sandalwood. However, there’s some unexpected elements to this fragrance that keeps me coming back for more. I always feel like Laudamiel adds some sort of subversive elements to his compositions – I mean, he did the Humiecki & Graef line and all of those are are weird. He’s done a perfume for Amanda Lepore. I guess I just didn’t expect it with this Nest fragrance, so it’s a pleasant surprise. The opening of White Sandalwood mixes the creaminess and sourness of sandalwood; it’s almost “curdled”. It’s a dry, creamy woods fragrance with notes that remind me of root beer. It’s like a mix of wintergreen, vanilla, almond, cherries and dry spices…so a soft drink. It wears as this powdery, woodsy sandalwood (meets something like palo santo). Because of the spices, almond and powder, I feel like this is almost a more sandalwood-y/woodsy take on something like Dior Hypnotic Poison (one of my favorites from Dior). Now let’s talk about what I found so unexpected. Underneath, this woodsy, spiced sweetness is the weirdest addition of a marine-like, brine-y accord that is like oysters.² It’s not a fake, squeaky clean sea-breeze. It’s that salty, marine accord that is in my favorite Neo-Aquatics like Hermès Épice Marine and Heeley Sel Marin. White Sandalwood dries down to a coconut-y sandalwood that reminds me of massoïa woods (like a creamy, coconut sandalwood). It still retains some of that weird marine quality but the base is mostly a powdery, sweet and “hazy” massoïa. I didn’t really notice any of the nuances of this perfume on paper. Once on skin, I became interested in this perfume. 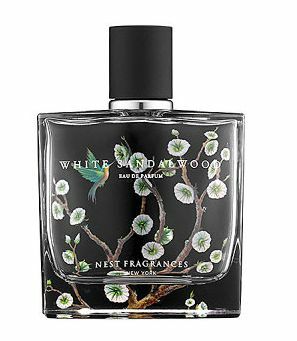 White Sandalwood is a minimalist, powdery sandalwood that reminds me of fog, drift wood and the sort of coastline/inlet scenery at places with a latitude remote from the equator. It smells “dark gray” and I love that. Or perfumes like Dior Hypnotic Poison, Juliette Has a Gun Mmmm, Profumum Roma Confetto, Hermes Santal Massoïa and/or Elizabeth & James Nirvana Black. White Sandalwood is somewhere between Hermes Santal Massoïa and Épice Marine with a heavy Dior Hypnotic Poison influence. Projection and longevity are average to above average. Also, I love the bottles of this line. They’re inspired by Mary Delany’s artwork, a woman that started mixed-media collages in her 70’s in the 1770’s. The 1.7 oz retails for $72 at Sephora. A travel size is also available. Victoria’s Final EauPINION – Sweet, powdery and briney sandalwood. I’m really happy I bought this unsniffed and gave it a chance. It has exceeded by expectations. It’s sweet, powdery and woodsy but with a weirdness (that’s probably unnoticeable to the people around you) that keeps it interesting. ¹I got all of this for under $10, new and in the box, so I was really happy with my purchase. ²And for anyone that cares, they remind me of sweet Pacific/Hood Canal (Washington) sort of oysters that are plump and creamy (and have always reminded me of vanilla bean pods, weird, I know). *Product purchased by me. Product pic from Fragrantica. 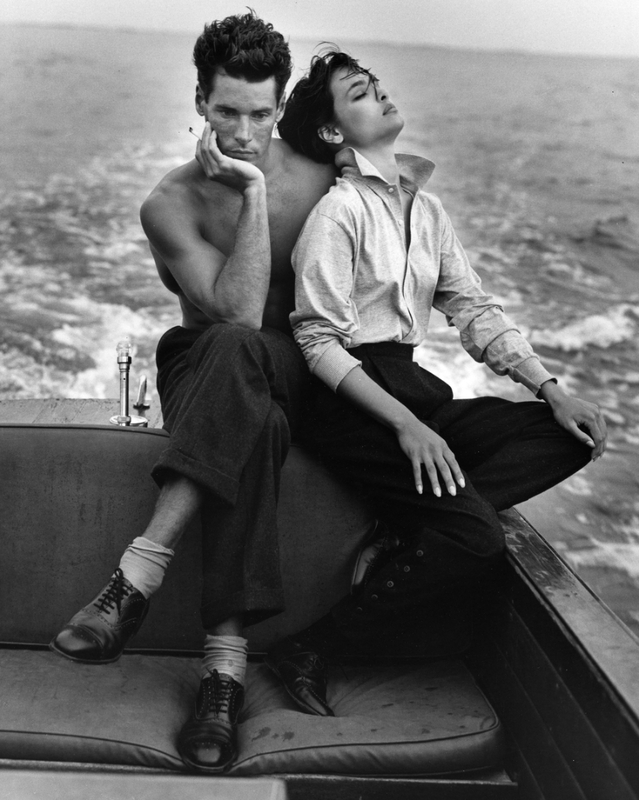 Bruce Hulse and Talia Soto by Bruce Weber in Bellport, NY pic from teenagedirtstache.tumblr.com. Post contains an affiliate link. Thanks! Yes! This is my favorite of the NEST perfumes, for all the reasons you listed. That briny, dirty beach note keeps me coming back for more. I’ve got a mini bottle of it but when I finish it I might spring for a full sized. I’m sooo into this perfume and I didn’t expect that. I thought it was another sweet sandalwood (not a bad thing). I’m surprised by its surprises! It really has some sort of dirty beach skin thing going on…and it’s great. Obviously, I’m very happy with my purchase, but I would also buy it at full-price after trying it (and still be happy with my purchase). Don’t expect to find them pleasant, though! This seems so amazing. Between this exhibit and Indigo Perfumery, I feel like I need to make a Perfume Field Trip to Cleveland! Hmm I may have to buy the coffret at Sephora. I’ve been meaning to try NEST perfumes ever since they launched them years ago, but I never have. I love the bottles so much, and White Sandalwood sounds intriguing. I haven’t tried the entire brand. I can say that the ones I’ve tried have been hit/miss. However, I gave my sis Midnight Fleur and it smells a 1000% better on her than me. Anyway, I think it’s a line worth sampling and the discovery sets/travel sets make it a bit more feasible to try at home.